This card is one of my favorites from the Support program. We wanted something that would speak to the issue of bullying. Something you could send to support a friend or loved one who might be having a tough time at school. I was really inspired by the wonderful videos that were made by the It Gets Better project. 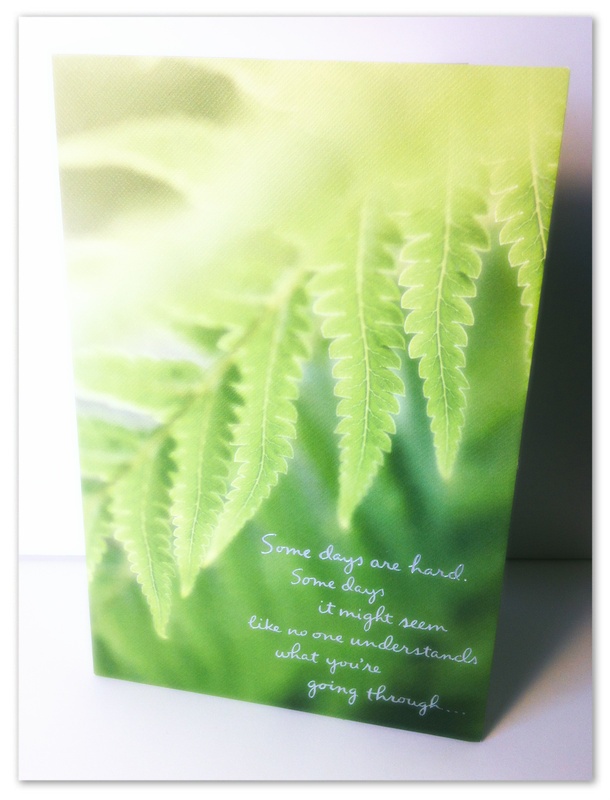 I wanted the card not only to express hope for the future, but love and support here and now. I ended up significantly rewriting an older piece to make this one work. I think the end result is lovely. You can find this card in the Support section in Target stores where American Greetings products are sold. who are on your side. who love and care about you.